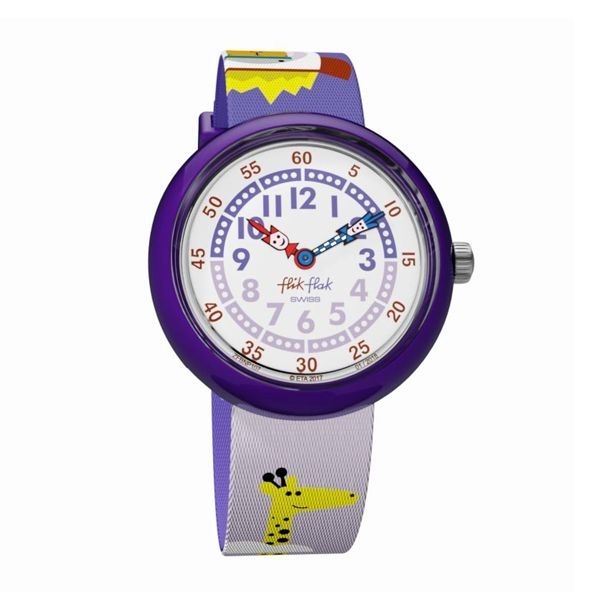 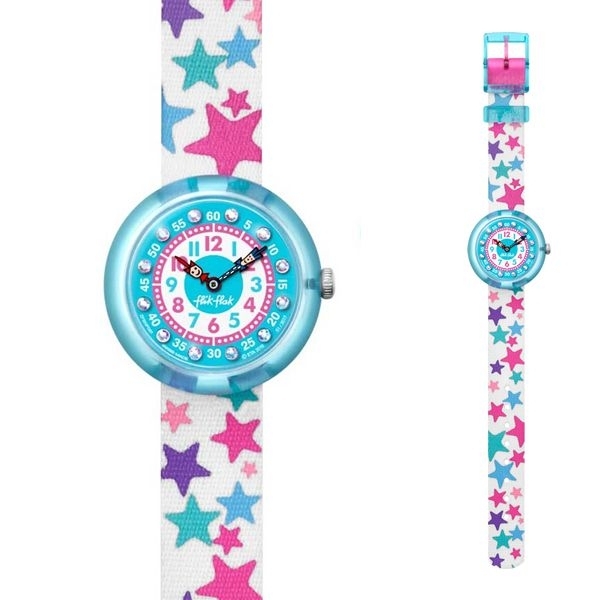 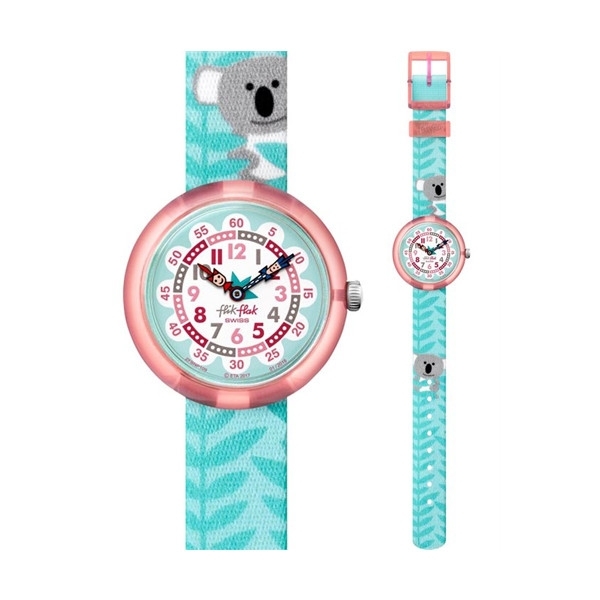 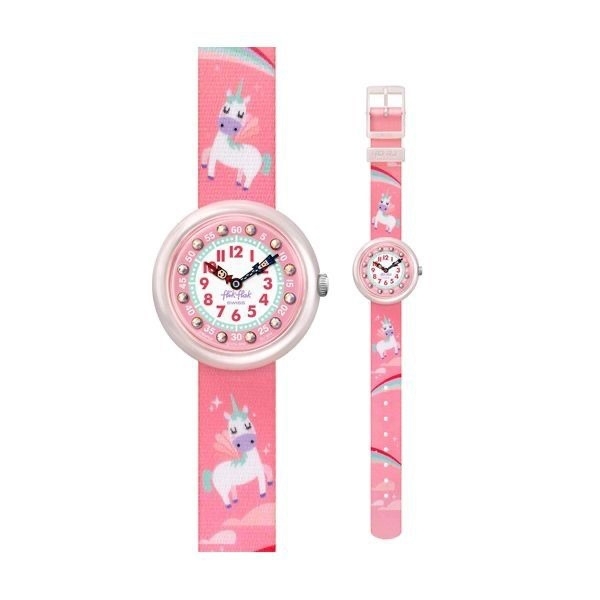 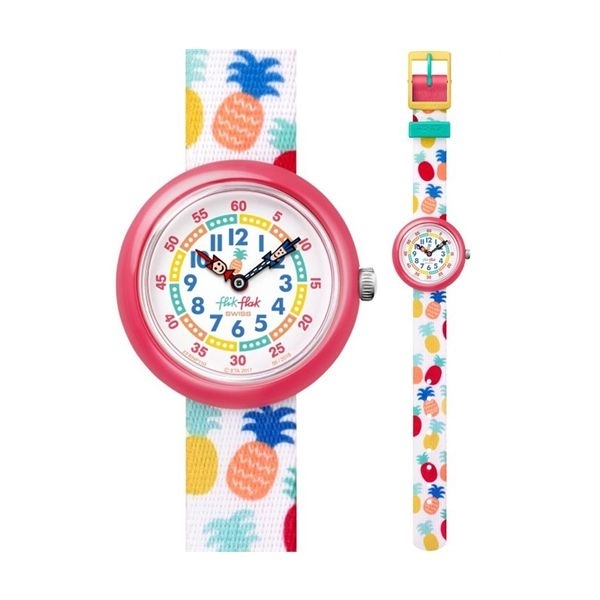 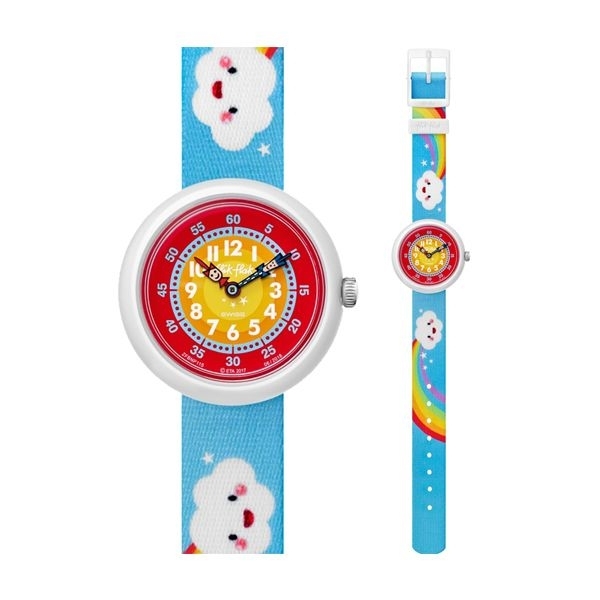 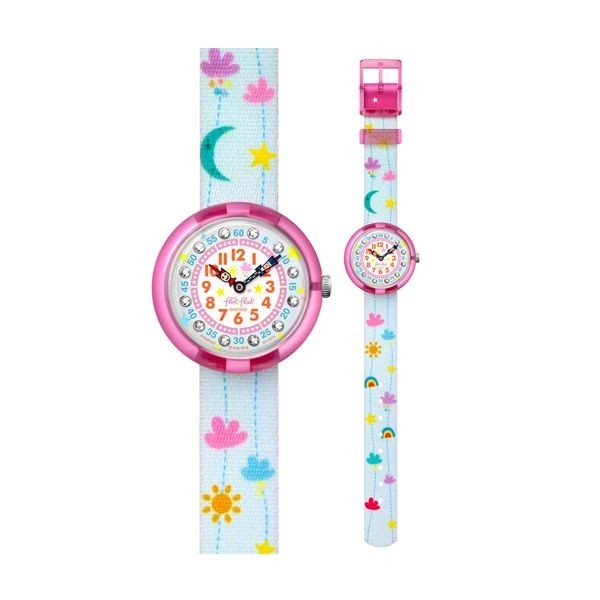 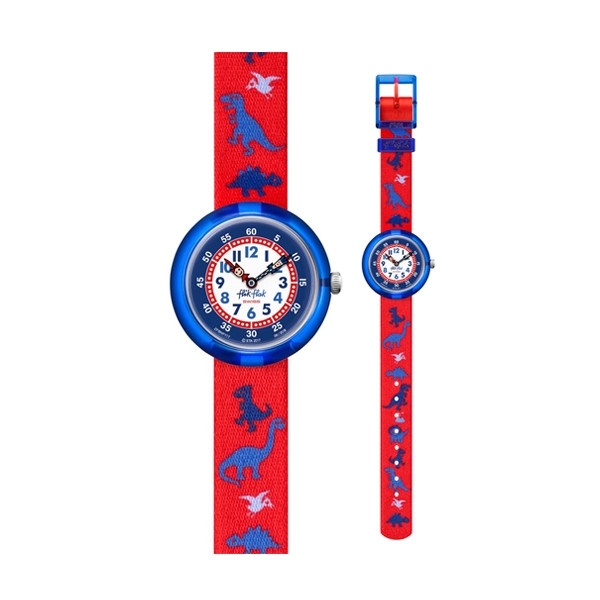 Here is Flik Flak, the Swiss watch for children, shock-resistant and machine-washable! 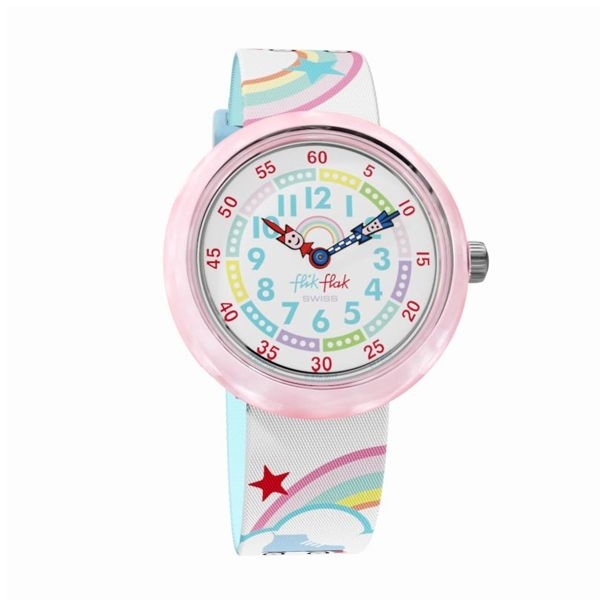 Flik Flak is the only watch that can be machine washed at 40°C. 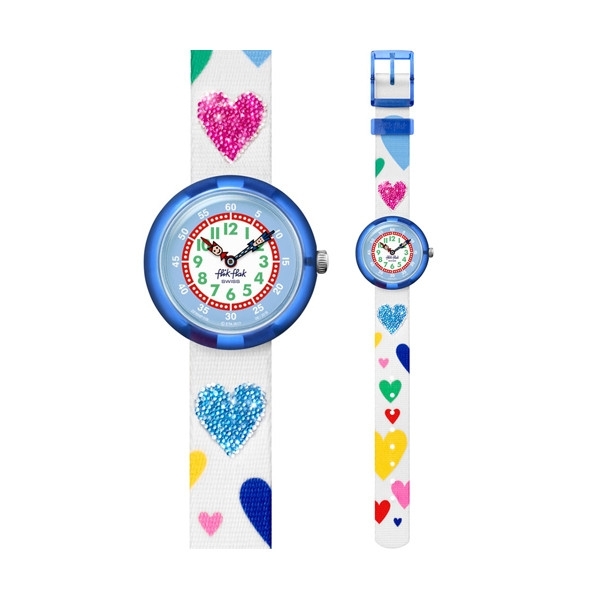 Flik Flak watches are made impeccably by Swatch Group with the intent to teach all children how to read time. 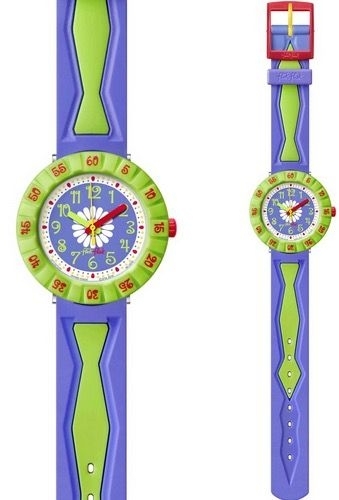 Based on this idea, then minute and second hands turn into two colorful and funny characters, Flik and his sister Flak, who chase each other on the dial. 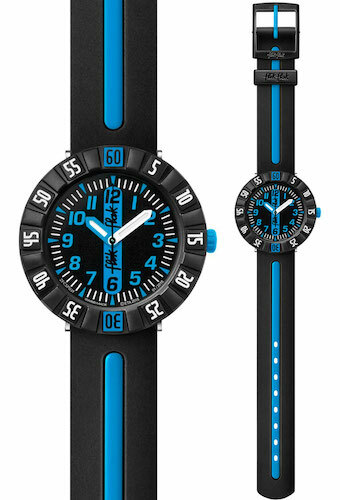 Flik, the blue hand, is always moving forward, as precise as only a Swiss watch can be. 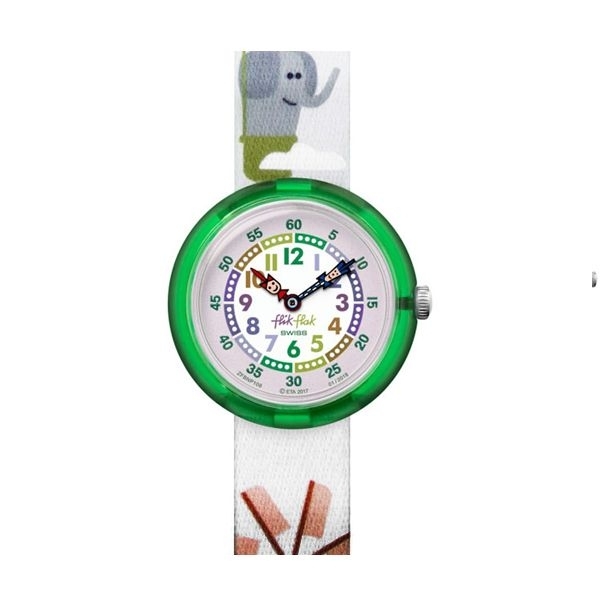 Flak always waits for his brother to make 60 steps before she makes a step forward herself. 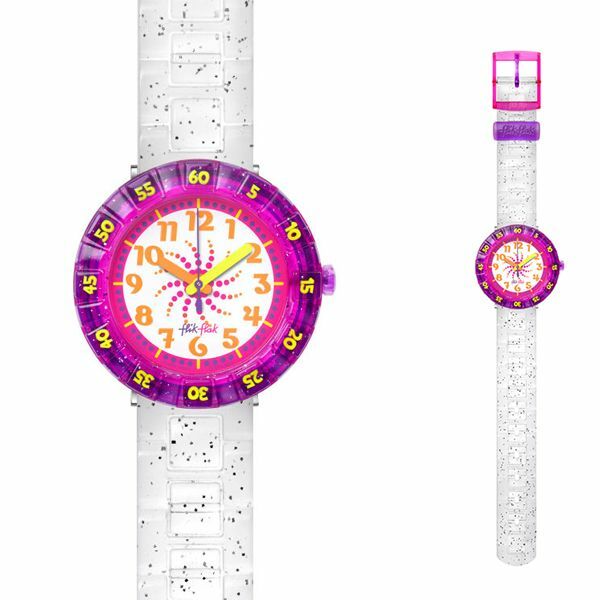 for over 30 years, the Flik and Flak bros have helped children from all over the world interpret the hour and minute system in a fun way. 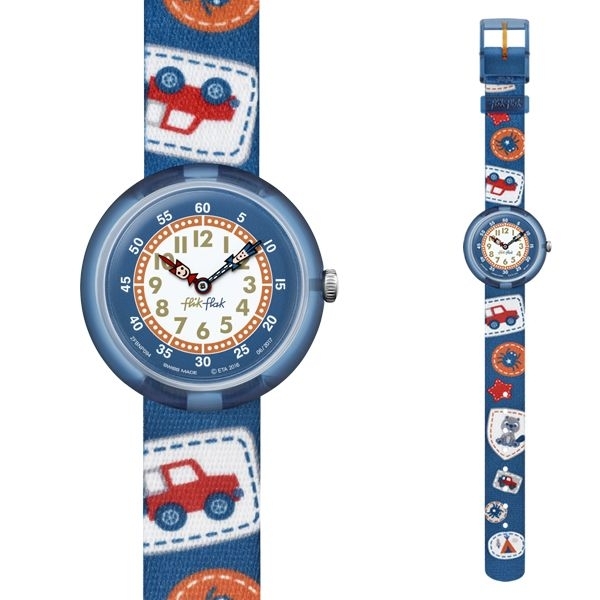 This original approach to the world of watchmaking is also accompanied by a great attention to the quality and resistance of all models (and with great joy of parents!). 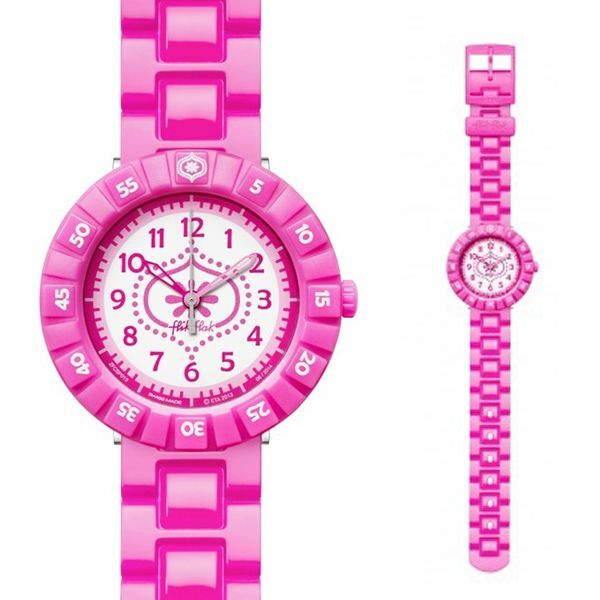 In addition to being machine washable, Flik Flak watches are also made of skin-safe materials without the use of harmful chemicals. 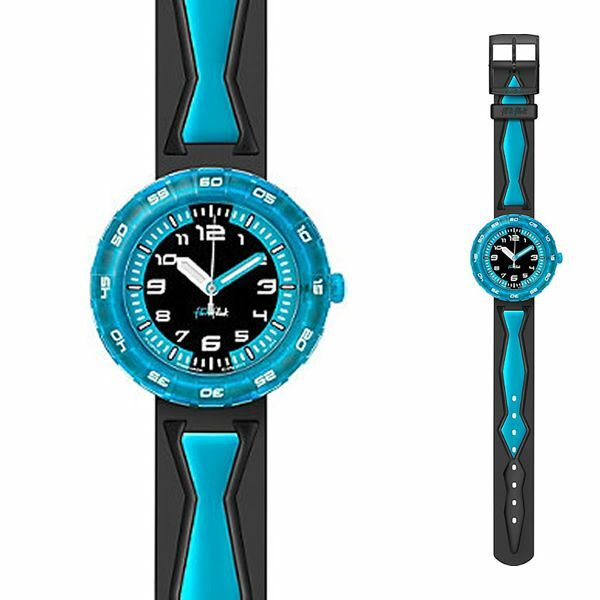 They are extremely impact-resistant and water-resistant up to a 3-bar pressure: taking a shower with Flik and Flak has never been so easy! 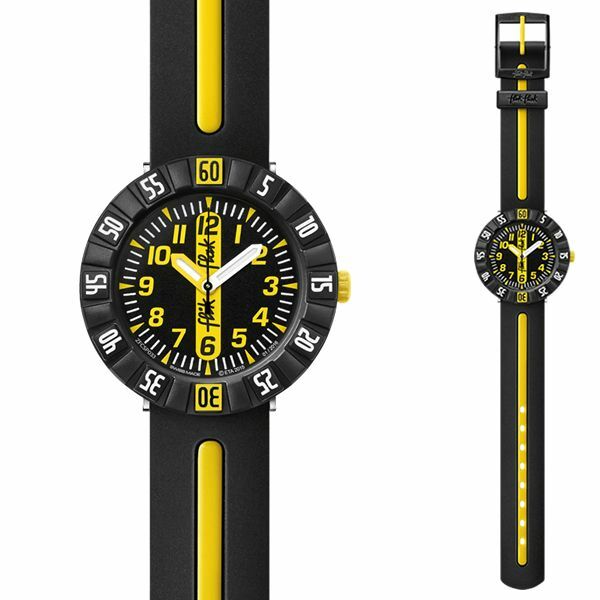 Discover all the models for sale on WWT!